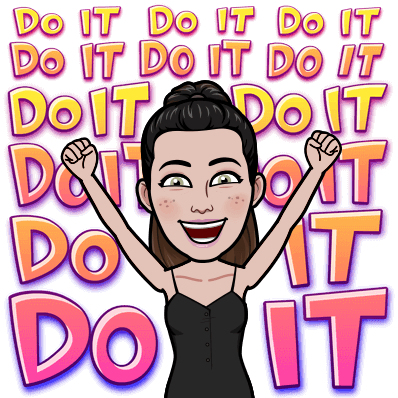 Hi Leveraged Mamas, today I’m going to attempt to convince you of two things. Firstly, : that it’s essential to start investing money in your future self today, and secondly that you – whoever you are and whatever your situation – can afford to start now. In fact, I’ll also show you why you can’t afford not start now. And you probably have some retirement savings growing alongside your employer contributions. But, you don’t have money to throw around. You maybe have some credit card debt, store cards or personal loans chugging away with a wee bit of debt. Maybe a little savings for a rainy day. But investments? Shares? A diversified portfolio? Er, what are they? Related: Diversified income: Are all your income eggs in one basket? You’re not an ‘investor’. Investing money is for rich folk right? Wrong! 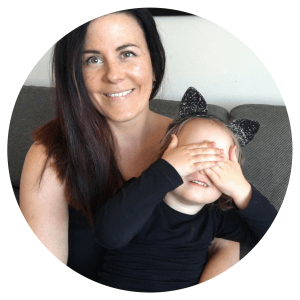 And today I’m going to blow away any misconceptions you might have about investing money, show you exactly how to get started – with zero dollars ‘spare cash’, and explain exactly why investing money is a Very Good Idea for mums. If you’ve been following me for a while you know that I tend to go on about ‘dumb debt’ and how it’s stealing from your future to pay for your past. Well, investing money is like, the opposite of that! Investing money is like giving to your future. So if you have some dumb debt sins to atone for – if you’ve been making a habit of stealing from your future self, well here’s how you can begin to right your past wrongs. But if you’re like me, you probably don’t know much about the stock market and that makes it a big, scary unknown thing. You may even think that investing is just for wealthy people. People who have made it. People who have extra money at the end of the day. Nowadays (and I’ll explain why soon) – anyone with a dollar can invest money into the stock market. Even people with very little understanding of the stock market – like me! Related: Is a House a Good Investment? But what I am going to do is blow away some of the myths you may believe and the stories you may tell yourself, that stop you from investing. The perceived obstacles that stop you from investing in your future self. 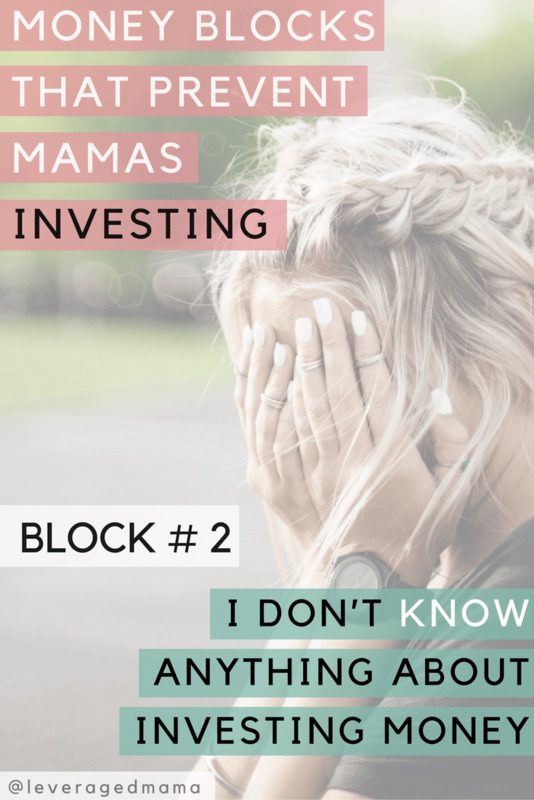 Why is it so important for mamas to invest? As mums, the majority of us take take time off work when we have babies. Less contributions to your retirement fund. Yet statistically, we tend to live longer than men – which in developed countries like New Zealand, Australia, the United States – can be a long time after retirement. So it makes sense to me that we need to close that gap somehow. We need to take EXTRA care of our future selves and make sure that we are looked after when we need it most. Investing is one way to do that. Investing and saving your money in different places spreads risk. You don’t put all your eggs in the same basket as if that basket is emptied out, you may take a big hit. Unfortunately, what happens to a lot of families when kids come along, is that our overall income can drop, and expenses go up. Simply, when we have kids, there isn’t often money left over to invest in our futures. But by ignoring this – by not investing – we are leaving money on the table as invested money can only work for us, and earn returns for us – given time. So that’s why I think it’s hugely important that we mums find a way to invest in our futures – no matter what our current financial situations! In our situations, any money in a savings account will probably get plundered as soon as a large unexpected expense arises – so that’s not “safe”. There are other options for growing your money like term deposits or bonds, but they often require a hefty minimum deposit – again, something we don’t have at hand easily! That’s why I think that shares are a valid, accessible options for mamas – but also why I think we need to get creative in how we find money to invest. But even if I’ve convinced you that you need to run off and start investing in your future now, you may still have some ‘money blocks’ that are preventing you from taking the plunge. I’ll have a crack at blowing those away now! #1 I’m not rich. Only rich people invest money. 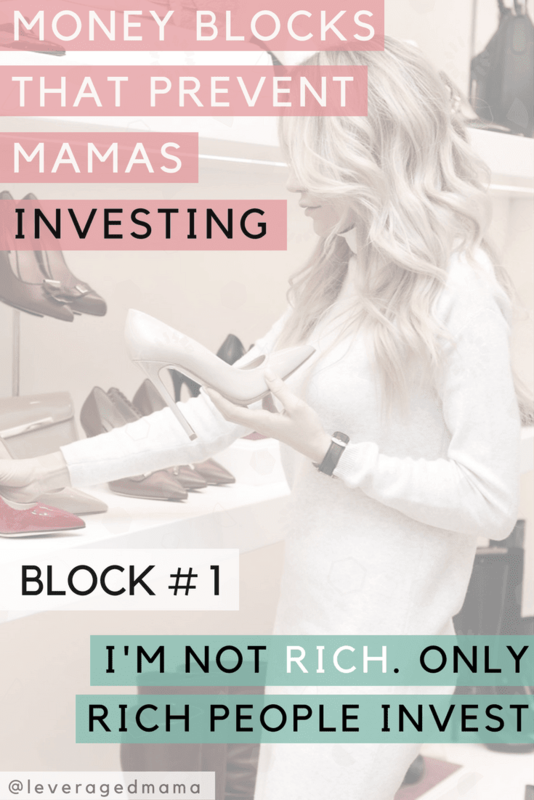 Money blocks to mamas investing – only rich people invest – The Leveraged Mama. Photo by Alexandra Maria on Pexels. That’s not true, and to prove it to you I’m going to show you a few easy ways to invest with no money in the bank! What are you hoarding that may have value to others? I’m not only talking about TVs and gadgets, but seriously – there is a market for vintage My Little Ponies (ask me how I know this). Sell your crap. Here’s some great advice on how to get a good price on Trademe: www.firekiwi.co.nz/2017/06/05/top-10-trademe-selling-tips/. Sell something, and put the proceeds into your investments. Or for one month – assuming that you keep a detailed budget that allows you to have full visibility of where your money is going – take a percentage of a line out of your budget and invest it. For example, if you have a budget for entertainment – let’s say it’s $200 month. Then take 20% of that for one month, and invest it. There’s $40 invested in your future. The following month, take 20% out of the clothing budget. And so on. Keep doing this every month and you’ll hardly notice the sacrifice. Or save a little bit of your weekly spending money and at the end of the week, invest the left over money. Eventually once you see growth in your portfolio you’ll probably set up an AP and it will become a regular expense – but for now that’s probably a bit scary so we have to be creative, right? Let’s start by taking money from today’s expenses, and giving it to tomorrow’s. How much do you know about how your car works? I’ll take a stab here and assume you probably know just enough to be able to drive. Just like you don’t need to know exactly how your car works to be able to drive it, you don’t need to know all the inner workings about how investing works, to be able to invest. Invest your money so that it can grow over time. Imagine it’s twenty years from today and you are reflecting back on what a terrible idea it was to invest some money every month for the past twenty years. Yeah that’s not going to happen is it! Just get started and learn along the way. A little bit invested here and there while you have minimum knowledge of how things work, will give you something to play with once you do get your A into G and learn about the nitty gritty of the stock market. This one is so easy I’m literally typing with my eyes closed. 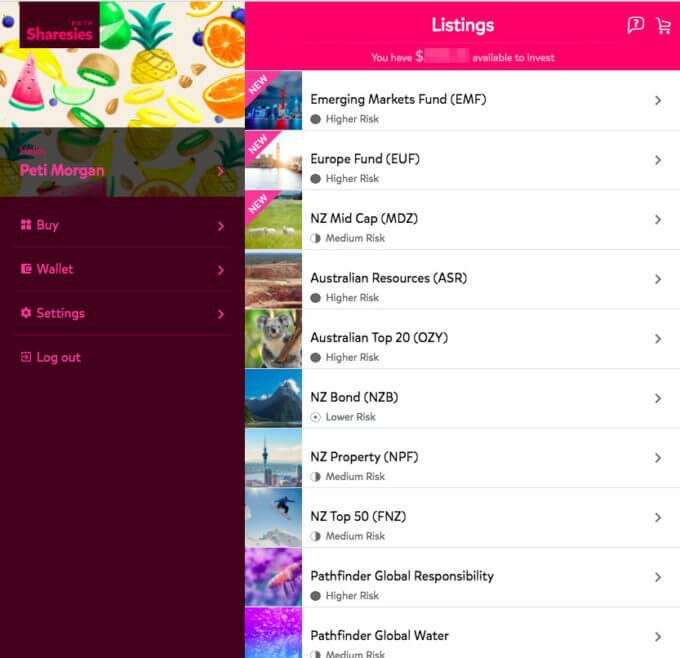 Start here: Sharesies is a New Zealand company and software platform that removes a common barrier to investing, by allowing you to add money little by little as often or as little as you like ($5 minimum), and charges just the one fee of $30 per year instead of per fund. *Update June 2018: Sharesies have now changed their fee structure to be even MORE friendly to those with smaller portfolios. You just have to check it out. Buy and sell shares online as you please. This makes investing incredibly easy for people like you and I, who may not have stacks of cash around for a term deposit, or access to better savings rates for the same reason. While they’re in beta you can get a $15 credit to invest – so that takes your first year’s fees down to $15! *Update: June 2018 – They’re out of beta now so this is no longer available. I just love that there are options to consciously invest in socially responsible companies, and that you can buy into managed funds which means your portfolio is more diverse off the bat. So there you go, within a week (once you sell something and have some cash available), you can become an investor too. How much crap are you hoarding that’s gathering dust, that you could sell, and invest, and have it collect gold instead? Do you want to be a crap hoarder or an investor? Crap gathers dust. Investments gather gold. What would you rather be collecting? If you wait, until you ‘have money’, how many dollars of interest (and compounding interest) have you thrown away? So think about it – think about how you can start investing money today, and your future self will thank you tomorrow. 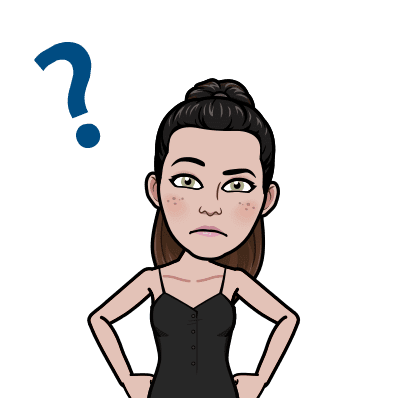 As always I’d love to hear your comments – do you have shares or has it not appeared to be an option to you before? Wow I did not know about sharesies – too cool and thank you for that very valuable tip and all of the valuable info!